Forgot Your Password Or Login? Disneyland is said to be the "Happiest Place on Earth." For one day (or several depending on your trip schedule) people of all ages from toddlers to seniors can have fun, let loose and become a kid again. It's a place filled with magic, music, your favourite characters and rides to fit whatever you're in the mood for. It opened its doors on July 17, 1955, and was the masterpiece of Walt Disney's magical empire. In its first week, Disneyland reported having 150,000 visitors, today Disneyland sees an estimated 750 million people walk through its gates a year. The park which has been opened for less than 65 years has snuck its way into our hearts, lives and the heart of Western culture to become an icon. A symbol of happiness, magic and good old family fun! Much like other icons, the iconic family fun land has a few hidden secrets you might not know. From secret food to too real props, Disneyland has some real mystery up its sleeves. The Pirates of the Caribbean ride was the last ride that Walt Disney himself participated in designing. The ride opened on March 18, 1967, three months after Disney passed away from cancer on December 15, 1966. 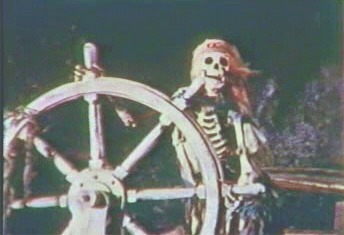 The ride came about before anyone had ever dreamed up the idea of the Pirates of the Caribbean film series, and throughout the film you can see references to the famous Disney ride, including the dog with keys in his mouth and the inclusion of the song "Yo Ho (A Pirate's Life For Me)." The Pirates of the Caribbean ride cost $8 million, which is over half of the $15 million that it cost to build the entire New Orleans Square section. The ride has received some controversy over the past few years. In response, Disney re-imagined a few scenes, most recently this past year the controversial auction scene was re-vamped. Disneyland was Walt Disney's passion project and he was so excited about it that he wanted a place to stay and watch all the activity so he had a secret apartment constructed on the second floor of the Main Street Fire Department building. The apartment wasn't big but it was fully functional with a bathroom (that had a shower), a small kitchen and a well-hidden patio where his wife Lillian would entertain guests. On an opening day, Disney watched in excitement as the crowd piled in the gates from his apartment. There is always a light left on in the apartment's front window as a tribute to Disney, and some even think the apartment is haunted by his ghost! While much of the original furniture has been removed since Walt's passing, the interior designers have stayed true to the original look of the apartment. You can actually take a VIP tour of Walt Disney's apartment next time you're there! On the more strange side of things, Disney was said to have used actual human bones as props on the Pirates of the Caribbean ride. Apparently, the Imagineers behind the ride were disappointed by the fake skeletal bones used throughout the ride because they felt they weren't convincing enough. To solve their problem, they went to the UCLA Medical center and acquired some more real props. As in really real bones. These real human bones were eventually replaced with more realistic modern fakes by later Imagineers. The bones were then taken back to their respective countries and given a proper burial, having served Disneyland guests faithfully for years. One of the major focal points for pictures of Disneyland is Sleeping Beauty's Castle, which has a working drawbridge! While technically in recent years the castle has been revamped and the lifts for the drawbridge were replaced with railings so it can't move anymore it has been raised twice since the park's opening. The drawbridge was raised on July 17, 1955, Disneyland's opening day and again in 1983. None of the other castles in Disney parks has, or has ever had, a drawbridge that works! It's also interesting to note that the top of Sleeping Beauty's Castle is actually on backward. It was accidentally put on backward in one of the 3D models built and Walt Disney liked it better so he kept it that way. If you want to compare the castle top to what it should be like you can check out the model in the Opera House on Main Street which has it correct. Sleeping Beauty's Castle also has another secret, there is a time capsule buried. The time capsule, aptly named the Time Castle, was buried at the park's 40th Anniversary in 1995 in front of the castle on Main Street. It is said to contain photos, newspapers, an Indiana Jones decoder card, messages, milestones, and memorabilia. The Time Castle is dedicated to children of the 21st Century and can be opened on Disneyland's 80th Anniversary which will be on July 17, 2035. There is also a time capsule that was buried in California Adventure Park in 2012, it is scheduled to be opened in 2037. The second time capsule is buried beneath Buena Vista Plaza in the center. It is said to include items from when it was buried including maps, tickets, cast member name tags along with some concept art for the park. The Main Street Opera House is largely considered to be the oldest building in Disneyland, having opened in 1955 when the park originally did. Though it wasn't always the Main Street Opera House, until 1961 it operated as Disneyland's lumber mill. Today you can visit the Main Street Opera House to experience The Disneyland Story, featuring Great Moments with Mr. Lincoln. Great Moments with Abraham Lincoln has been removed several times over the years, replaced with more modern attractions, but the revamped version of it most recently returned in 2009. Disneyland still has 12 original rides which include Mr. Toad's Wild Ride, the Disneyland Railroad, King Arthur Carousel, Peter Pan Flight, Snow White's Adventures, the Mark Twain Riverboat, Golden Horseshoe Revue, Jungle Cruise, Casey Jr. Circus Train, Canal Boats of the World and Dumbo's Flying Elephants. Many of the original rides have been remodeled. Club 33 located at 33 Orleans Street in New Orleans Square in an exclusive members-only club. It was originally designed as a place where Disney could entertain his guests and business associates but, unfortunately, he passed away 5 months before the doors opened. Membership to the club is said to be by invite only, and the initiation fees can range anywhere from $25,000 to $100,000 with another $12,500 to $30,000 in yearly fees! There are exclusive behind-the-scenes photos shared on an Instagram account said to belong to an unnamed club member. There are said to be over 500 members of the club and supposedly another 800 on a 14-year waiting list. While you likely won't become a member any time soon, being friends with a member could get you on the guest list for the night! Rumour has it that Tom Hanks and Elton John are members, and many celebrities have shared photos and stories of their time dining at the club. A second location now exists at 1901 Lounge in California Adventure Park where members are surrounded by artifacts from Disney's former office. The Matterhorn Bobsleds ride was inspired by the Swiss mountains that Walt Disney fell in love with while filming "Third Man on the Mountain" in Switzerland in 1959. The ride was the first thrill ride built in Disneyland, standing 147-feet tall (exactly 100 times smaller than the real Matterhorn) and the first roller coaster built by Arrow Development (they also built the "Corkscrew" roller coaster that you can find in Silverwood Theme Park, Cedar Point and Canada's own Callaway Park in Calgary which is now called "Vortex"). The Matterhorn Bobsleds got an update in 1978 where the 2-car bobsleds were made into 8-car bobsleds and the Yeti scenes were added. In case you were curious, the Yeti's name is Harold. The ride unique to Disneyland, it is the only Disney park where it exists. The ride also used to be part of Tomorrowland but is now considered to be part of Fantasyland. You can find various movie props throughout Disneyland, and the Indiana Jones Adventure Ride is no exception. There is a Mercedes truck that you walk by outside of the Temple of the Forbidden Eye that was used in the original filming of the desert scene where Indiana Jones gets dragged behind the truck in Indiana Jones and the Raiders of the Lost Ark. The mine cart that you passed by as you exit the Indiana Jones Adventure Ride is also a movie prop from the film Indiana Jones and the Temple of Doom. While it isn't the actual vehicle you see with Indiana Jones, Willie and Short Round, it was said to be used in one of the underground scenes. You can also find the C-3PO and R2-D2 props used in the original Star Wars trilogy in Tomorrowland and the organ from the Haunted Mansion. Disneyland cast members are exceptionally helpful, but have you ever noticed that they only point with two fingers? Cast members are supposed to use the double point due to the fact that pointing only your index finger can be seen as rude in a number of cultures (including in the United States). Learning this gesture is part of Disney cast member training. However, some believe that the double point also pays homage to Walt Disney who was known to be quite the cigarette smoker. According to Disney legend, Walt used to walk around the park showing guests the different areas with the double point finger gesture. Tom Hanks who played Walt Disney in Saving Mr. Banks confirmed that there are a number of photographs where Walt can be seen pointing with this gesture. Though the Disney brand has been attempting in recent years to distance itself from Walt's smoking habit. The 1964/1965 New York World's Fair was quite an extravaganza and the largest held in the United States. It showcased jet packs, Belgian waffles, works from Michelangelo, the Ford Mustang and a smartphone-like device called the "Picturephone." It was also showcased some amazing attractions produced by Disney and his creative team that would later become Disneyland attractions. The Fair which opened April 22, 1964, featured four attractions produced by Disney and his team including the centerpiece of the UNICEF pavilion, "It's A Small World" which took guests to more than a hundred countries using cutting-edge (for the time) animatronics. Disney also showcased "Great Moments With Mr. Lincoln", a live show called "The Carousel Theater of Progress" that told the story of man's progress, and "Ford's Magic Skyway" which took audiences on a journey back in time and was the inspiration or Disney's PeopleMover which was a ride from 1967 to 1995. Rumour has it that inside Disneyland's Matterhorn mountain that was built for the Matterhorn Bobsleds thrill ride has a basketball court in the top of it. The Matterhorn Bobsleds ride only used the bottom 80 feet of the 147 foot Disneyland Matterhorn mountain and out the top 67 feet is not part of the attraction. As it turns out, the rumor is true! The Matterhorn mountain basketball court is about two-thirds of the way up the mountain and is used by mountain climbers and cast members to prepare for scheduled climbs and pass the time. The basketball court was thought up by Walt Dinsey himself who thought it would be a good activity for cast members to pass the time. Interestingly enough, during the summer months, Disneyland actually hires mountain climbers to climb up and down the mountain, helping to create a more authentic mountain look and atmosphere. Once upon a time in Disneyland, you used to be able to fish. A small netted portion of the Rivers of America which the Mark Twain Riverboat attraction floats down used to be full of fish so visitors could enjoy their day at Disneyland and catch a fish or two. Guests would grab a fishing pole from a shed on Huckleberry Finn's Fishing Pier and stand on Tom Sawyer Island to catch one of the Disneyland catfish. Once they did, they were encouraged to bring their catch to the River Bell Terrace where it would be chilled until they were ready to go home. However, the attraction proved to be a nuisance. Guests didn't bring their fish into the restaurant and instead opted to carry them around the park or throw them in trash bins or lockers and it didn't take long for the park to smell fishy. The attraction was shut down just weeks after being opened. Disneyland drained the Rivers of America in 2010 and found a bunch of items at the bottom of it, including the strangest one a computer tower! Other items included cell phones and pagers, baby pacifiers, sunglasses and half of a canoe. Not only is Disneyland home to your favorite characters, but it's also home to a large number of cats 200 to be specific. And they're not trespassers either, the park feeds and houses them exchange for nighttime security for some of the less welcome park guests, namely mice. Disneyland's resident cats are actually neutered, vaccinated and tagged by Disney. You can spot them today around the Main Street Train Station, lounging around perched cliffside on Thunder Mountain Trail or catching a bite at White Water Snacks. Disneyland's cat residents weren't public information until 2010, and at first, not everyone received the news welcomely. But since the original outing of Disneyland's cat cast members, the company has received praise from cat lovers who are excited that their favorite fur buddies get to enjoy The Happiest Place on Earth alongside them. The feline residents of Disneyland are taken care of by the park's staff and local veterinarians. It turns out the spooky Haunted Mansion attraction has a creepy secret of its own. There is a bullet hole in the ballroom. While much speculation surrounds the bullet hole, the legend goes that in 1974 a guest brought a concealed firearm into the park and fired off multiple rounds. There were at least two rounds shot off and the first bullet made its way through the ballroom wall in the Haunted Mansion and a snowflake on the former ride Adventure Thru Inner Space (apparently he was aiming for the panes of glass that let you see the ghosts reflections), and the second was found in the Primeval World diorama on the train. The incident has not surprisingly been kept under wraps by Disney who has not made a comment about it. The bullet hole was covered by a spider web display that Disney brought an artist in to create. What? Tony the Tiger at Disneyland? It's true! You can hear the loud booming voice of Tony the Tiger from the Kellogg's Frosted Flakes brand throughout your experience in Disneyland. The voice, that of the late Thurl Ravenscroft (the original Tony the Tiger), can be heard leading the number Grim Grinning Ghosts that plays when you're inside the Haunted Mansion. Ravenscroft can also be heard on any of the Disneyland Railroad trains where he voices the conductor, plus he plays Fritz (the parrot) and a Polynesian god totem in the Enchanted Tiki Room and lends his voice to a few of the pirates in the Pirates of the Caribbean attraction. Ravenscroft also performed the iconic song You're a Mean One, Mr. Grinch from the original 1966 cartoon, along with lending his voice to a number of original Disney films and television programs including The Aristocats, The Many Adventures of Winnie the Pooh and Walt Disney's Wonderful World of Color. Walt Disney envisioned a fun-filled resort (more like what we see today) than a singular theme park for Disneyland, so two years after the park opened they expanded with an outside-of-the-gate spot called Holidayland where the guests could enjoy a picnic, a beer and spend some time with the family away from the hustle-and-bustle of the park. It was intended to provide a much-needed break to guests. Holidayland was not an attraction but it offered quite a few entertainment options including horseshoes, badminton, volleyball, and baseball plus play structures for the kidlets! There was a large circus tent set up in the middle of the land that had food and most importantly beer, which you could not get within the park. Once guests were ready to head back, they simply used the Holidayland park entrance. Holidayland formerly sat where New Orleans Square sits today. As the ideas for the park grew and the multiple problems for Holidayland grew (including not enough bathrooms for guests, thinning crowds, the lack of decor, lack of shade and no nighttime lighting), it was closed in the 1960s in favour of building newer attractions. TOY STORY CHARACTERS REACT TO "ANDY'S COMING"
It is said that some of the most entertaining characters running around the park are those of the Toy Story franchise. That's because it used to be that when a park goer yelled, "Andy's coming!" in front of the Toy Story toys, the characters would stop and drop, just like they did in the movie. The Disneyland Toy Story characters are great sports much like all of the others in the park (unless you count Captain Jack Sparrow who is unlikely to take a photo with you as he stumbles around the park) and used to let patrons pose for photos like they were also in Andy's toy collection. Unfortunately, park officials in recent years have made an update that Toy Story characters are no longer allowed to actually drop to the ground (likely due to safety concerns) but the characters still participate in the fun by freezing and/or going limp if a park guests shoulds "Andy's coming." Try it out yourself! The Disneyland Monorail that we see today is actually Monorail Mark VI, the original Mark I opened June 14, 1959, as the Disneyland Alweg Monorail System. This was also the first day a monorail ever operated in the Western Hemisphere. The Disneyland Monorail was supposed to be part of the opening of Tomorrowland but Walt Disney and his team couldn't find the perfect version to make his dream a reality. But in 1958, two of the Disney Imagineers introduced Walt to a straddle-beam track (as opposed to a suspended-track) design that would allow it to fit perfectly with the Disneyland landscape, blend into the park and glide through. Walt also liked that the monorail ran almost noiselessly, using a combination of electric propulsion and rubber wheels, ensuring it wasn't a distraction to the guests. Walt envisioned the monorail operating as a solution to mass transportation needs around the park (and all around the world) but when it first opened the Disneyland Alweg Monorail System was simply an attraction. It wouldn't become a guest transportation until 1961. If you're a particular fan of theme park food or are looking to grab yourself unique items to try while you're exploring Disneyland, you should know that there are secret menu items to be hand. A number of food establishments within Disneyland (and California Adventure Park) have secret food items that if you're in the know you can get your hands on! The trick is knowing where to find it. The food items change frequently, so it's best to look before you go (there are a ton of Disney food-related blogs that you can find) but we can share that some of the recent menu items that were found at the park this last year include Loaded Tots at River Belle Terrace, the Ice Cream Nachos at The Golden Horseshoe in Frontierland, Chili Mac n' Cheese Bread Bowl Refreshment Corner in Main Street, USA and for adults the Neverland Tea which can be found at Cove Bar inside Disney California Adventure. If you're standing around New Orleans Square Train Station waiting for the next train, you'll likely hear a tapping and beeping sound coming from inside the Telegraph Cable Office. That sound is Walt Disney's speech from July 17, 1955, the opening day of Disneyland. Technically it's only a few lines and it's not exact because it's based off the script of remarks that Walt Disney prepared a few days prior to the park opening and actually has a few additional words. The message is tapped out in Continental Code (which is international Morse Code) and was apparently incorrect at one point in time but was fixed with help from a visitor who was an amateur ham radio operator. The speech is just over one minute long and says: "To all who come to Disneyland, welcome. Here age relives fond memories of the past, and here youth may savour the challenge and promise of the future." You'll find Tarzan's Treehouse in Adventureland and inside the treehouse, you'll find Mrs. Potts and Chip, the teacup and pot from Beauty and the Beast. Wait, what? While it may seem out of place, the truth is it's actually accurate to the movie. In the Tarzan film, Mrs. Potts and Chip are part of the tea set that can be seen in Jane's camp. You can also spot an Eeyore in the Indiana Jones Adventure in the movie room. Those that have found him say you'll spot him after you make your first right then left turn up if you look above through the boards. Apparently, he's there because the ride was built over the original Eeyore parking lot, so he was hidden as a small tribute. Speaking of hidden things, while you're at the park you can also take a look around for Mickey Mouse ears, they appear to be everywhere. Some guests believe that Mickey Mouse ears are hidden on every ride but no one's been able to locate them all yet. And rumour has it there's a hidden Charlie Brown someone inside It's A Small World. Disneyland officially opened its doors to the first guests on Sunday, July 17, 1955. The construction of Disneyland had officially begun a year and a day earlier on July 16, 1954. The park cost $17 million to build, which would translate closer to $160 million today with inflation. Disneyland's Anaheim location was also not the first choice for Walt Disney, who originally proposed building the park on a 16-acre piece of land across from Disney's studios. However, the town of Burbank rejected his proposal so he sought out new land. The construction was on a tight and ambitious schedule, overseen by retired Admiral the crew worked around the clock to make Disney's dream a reality. We all know Pirates of the Carribean today as a boat ride that takes you underground and through a series of pirate-themed scenes played out by impressive animatronics, but it wasn't always that way. The original concept for the Pirates of the Caribbean ride thought up sometime in the 1950s was going to be a walkthrough wax museum - like Madam Tussad's but with pirates! The Pirates of the Caribbean wax museum was supposed to see guests walking through the figurines underneath New Orleans Square. However, the It's a Small World and Great Moments with Mr. Lincoln animatronic exhibits were such big hits at the 1964 World's Fair in New York City that the wax museum idea was thrown out and a new more interactive exhibit was put together. While Walt Disney didn't get a chance to see the ride fully operating because he passed away only months before it's opening on March 18, 1967, the Imagineers working on the project pushed Walt through on a dolly at the same speed a boat would have gone through so he could experience it. MickeyMousePark.com is not associated in any official way with the Walt Disney Company, its subsidiaries, or its affiliates.